to get Sale Price below. Earn $1.18 in Rewards credit (118 points) What's This? So fresh and so clean. The New & Improved Formula. Look, you might think that having a stinky gross kit improves your odds of breaking away, but the only thing it's hurting is your wallet. 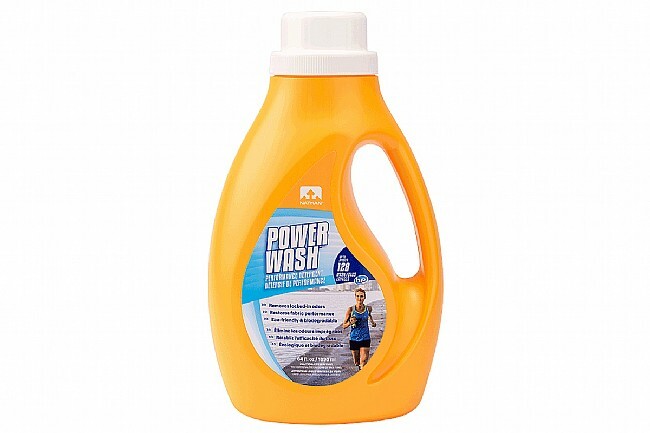 Freshen up that well-worn kit and bring it back to its original condition with the Nathan Power Wash's all-natural sports detergent. Featuring a pH neutral dye- and odor-free formula, this detergent is tough on odor-causing bacteria while preserving technical fabrics. Nathan's works real well getting the sink out of the cycling clothing. Also, use a little bit to wash hands after riding to get the sink smell off your hands from a long ride wearing gloves.